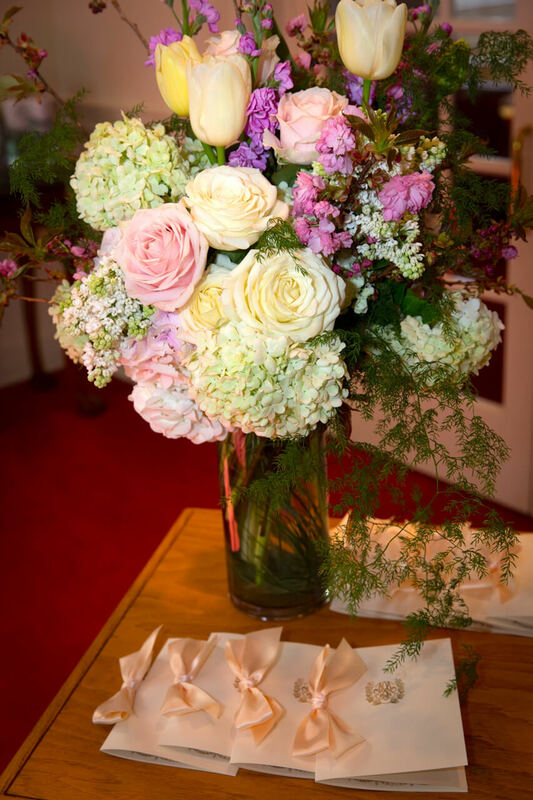 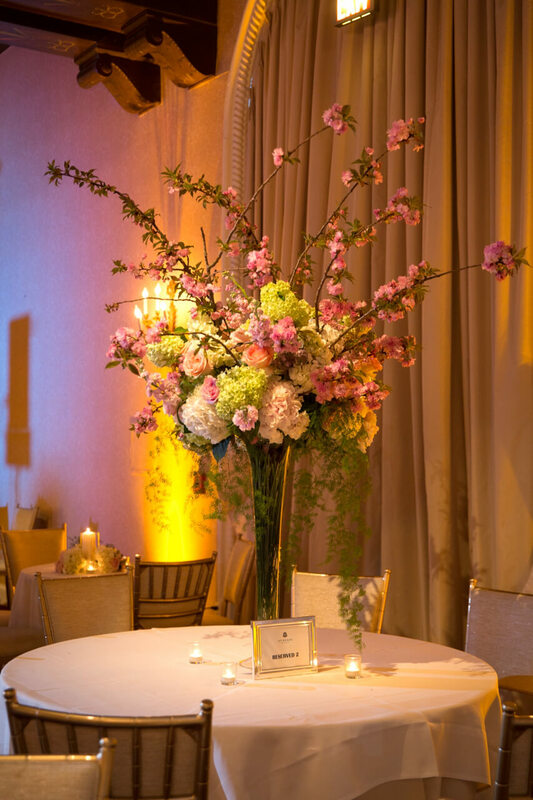 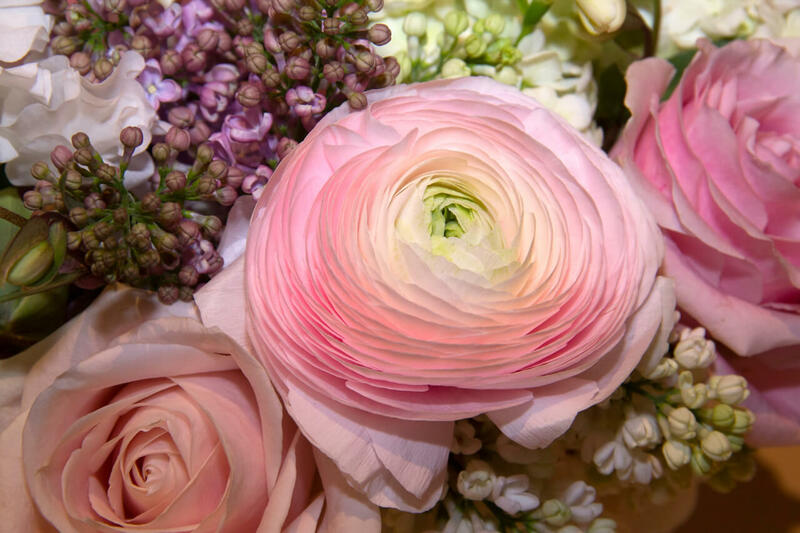 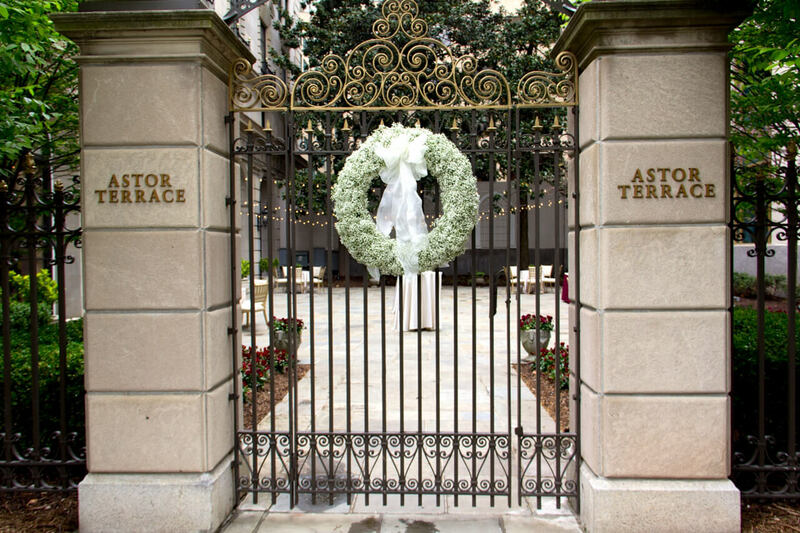 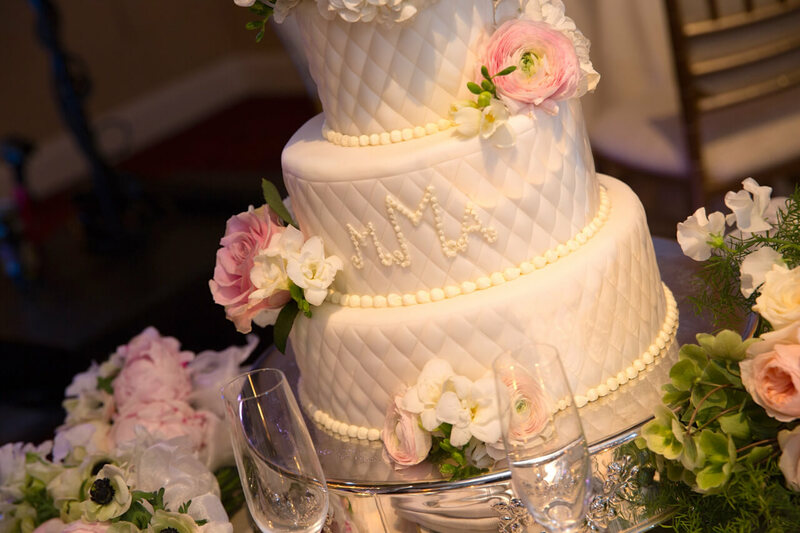 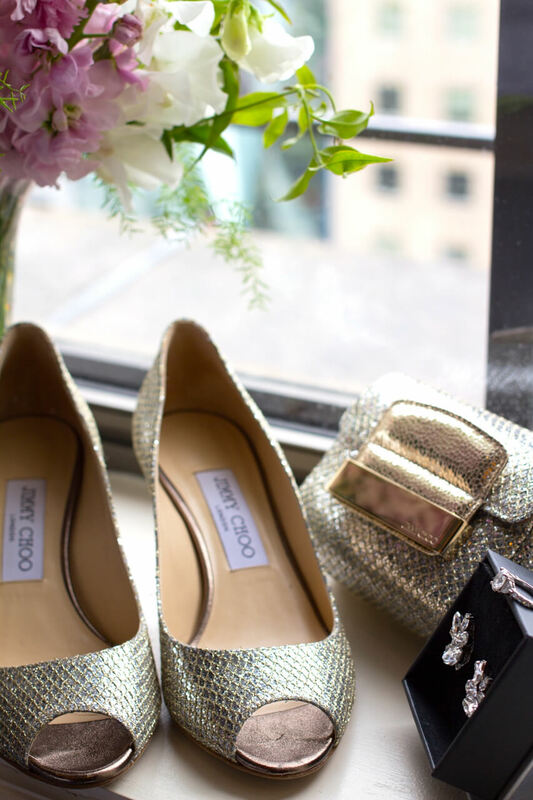 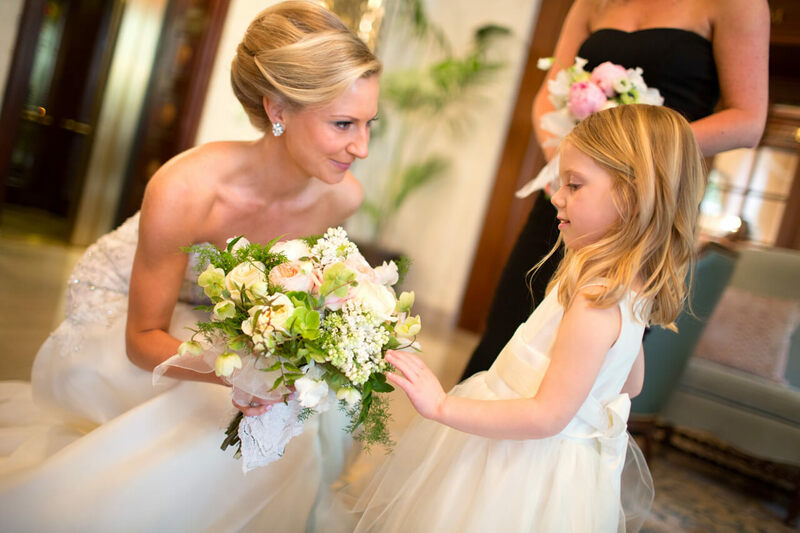 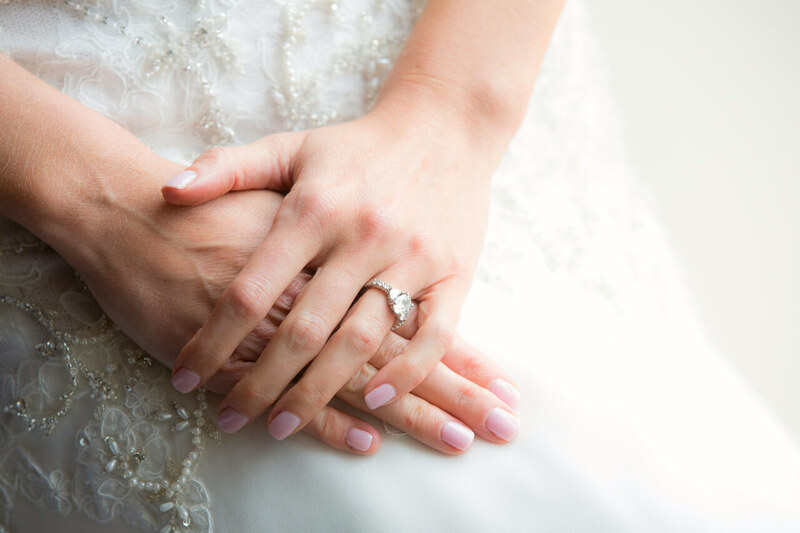 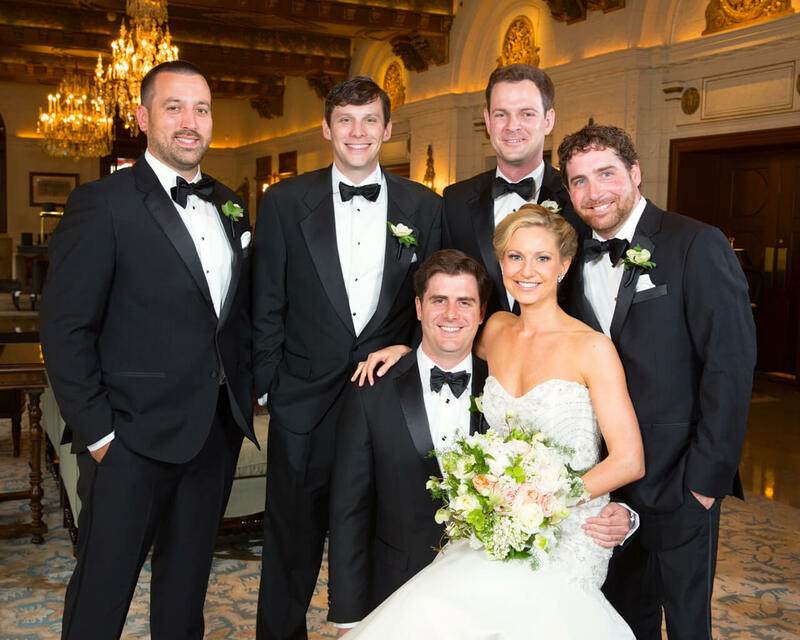 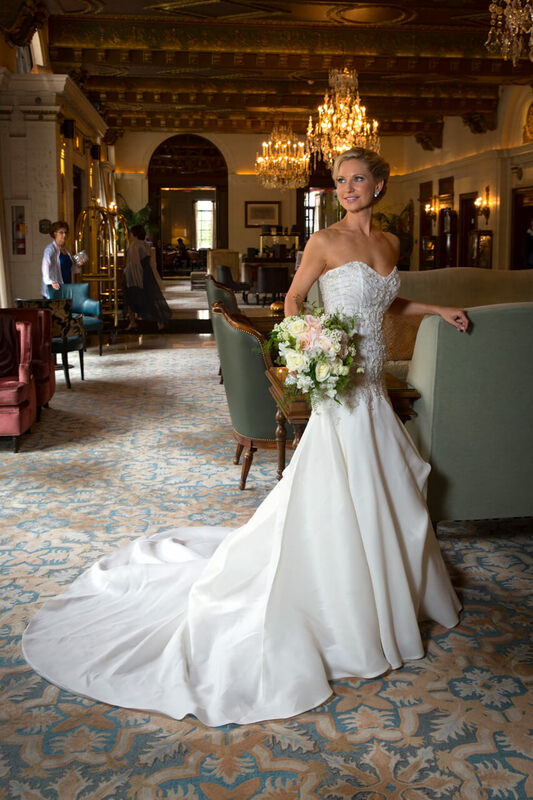 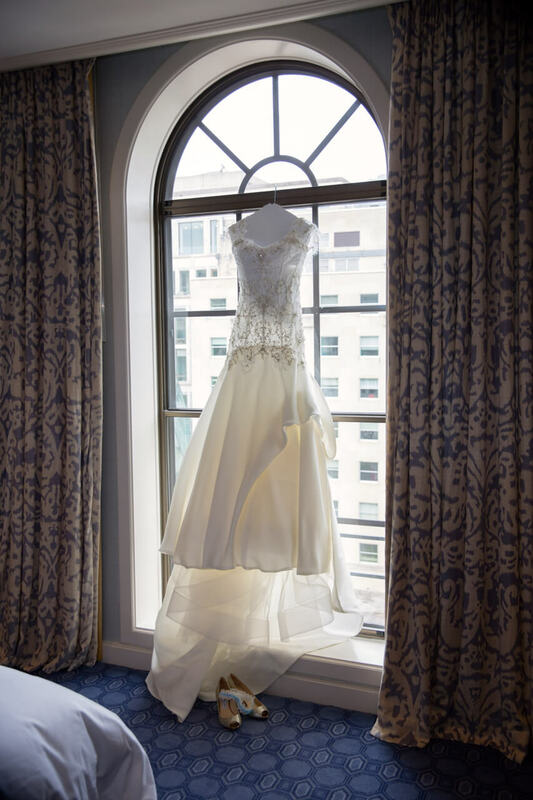 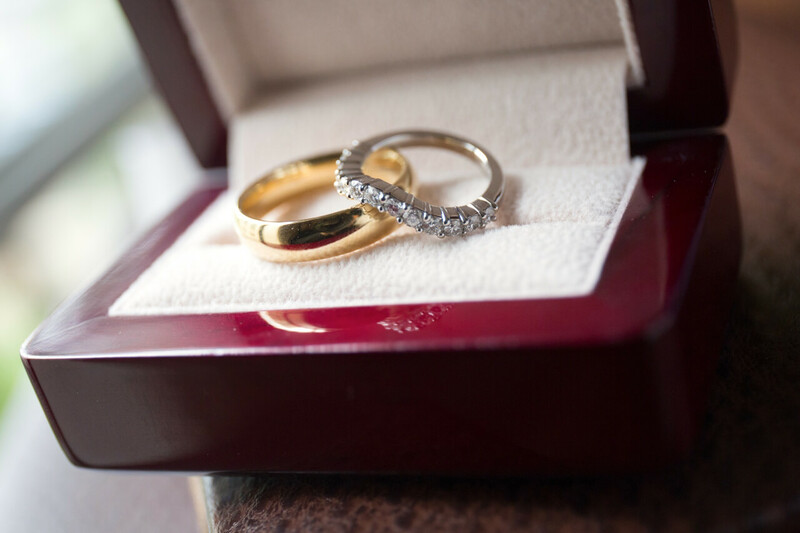 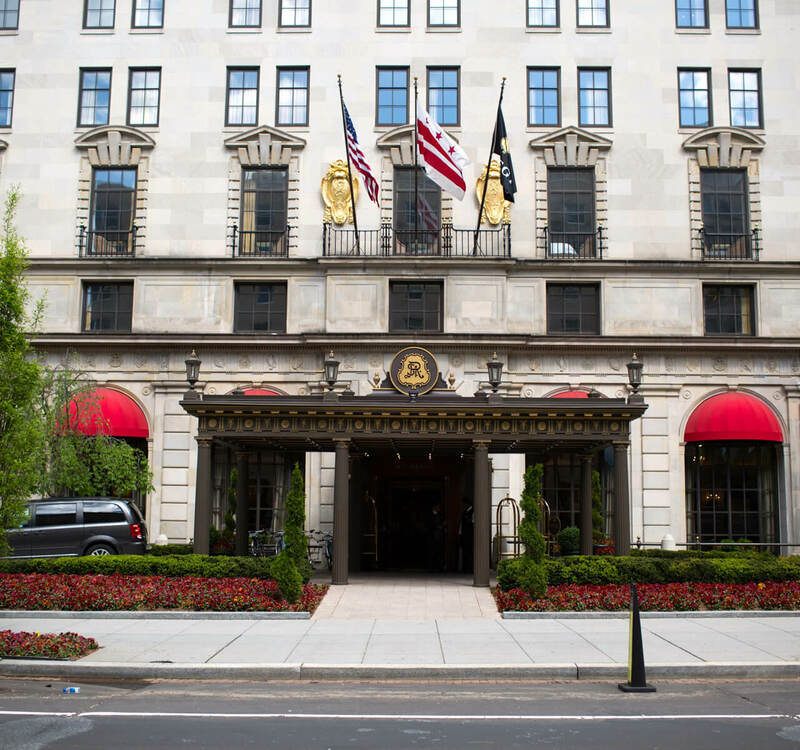 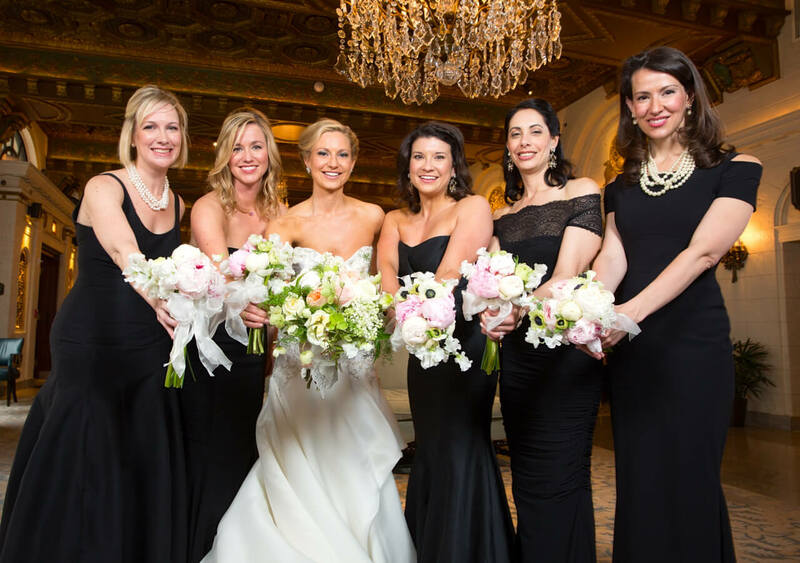 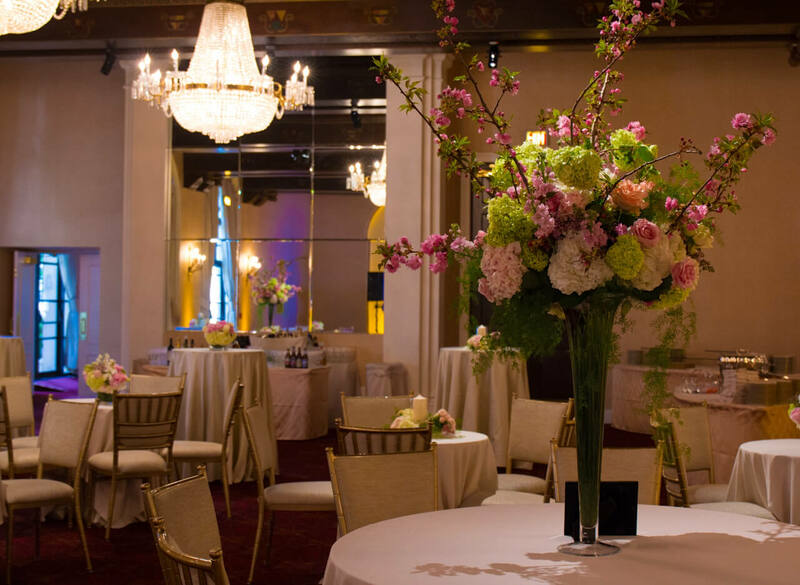 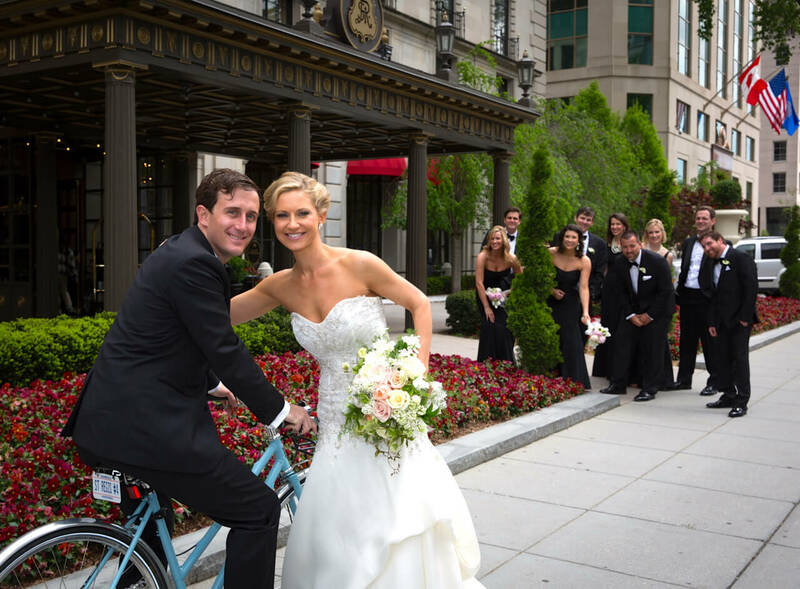 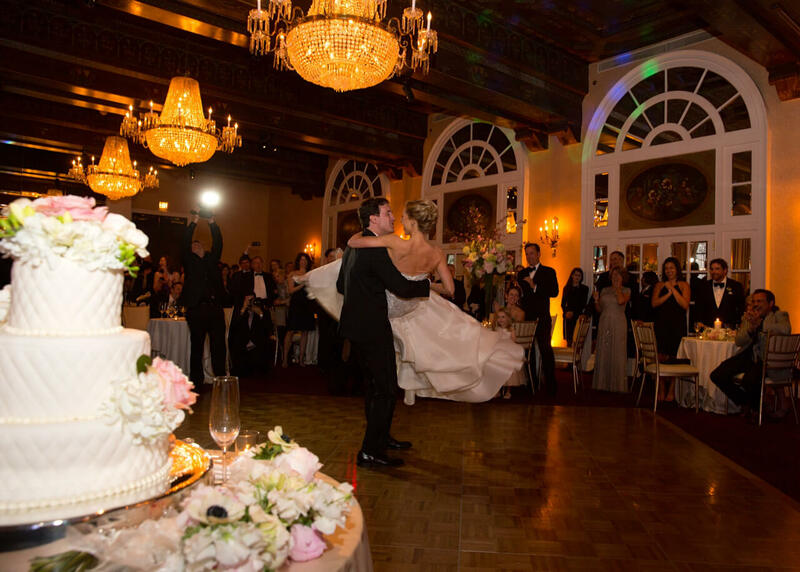 Michelle and Andrew’s black tie wedding was held at the beautiful St. Regis Hotel in Washington. 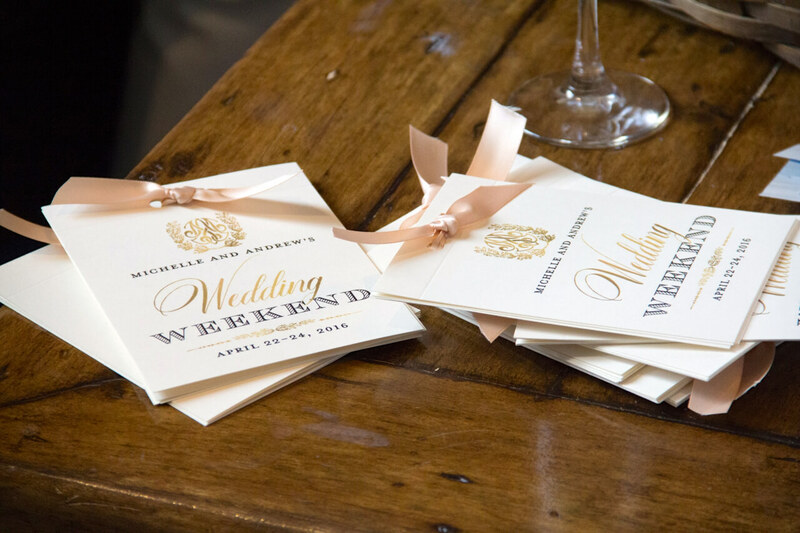 D.C. For Michelle’s wedding invitations, she wanted to combine a traditional look with a little bit of a twist, which is what we love to do at Nico and Lala! 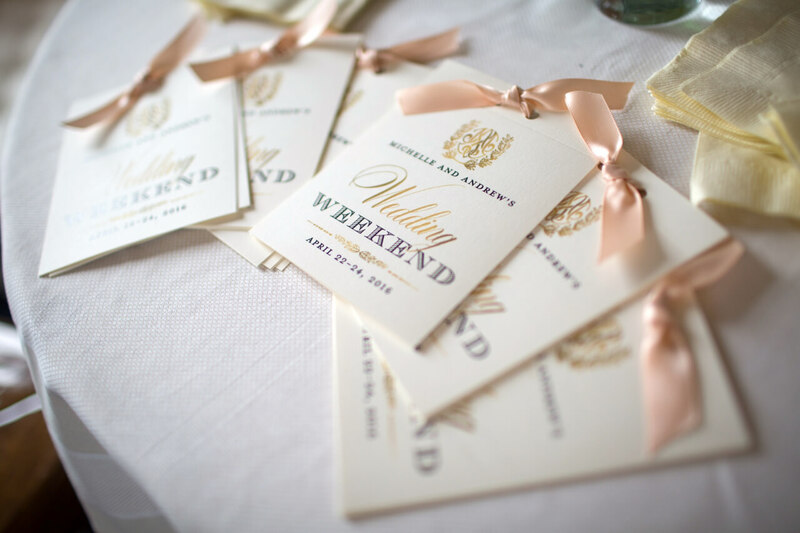 For the couple’s wedding logo we created an interlocking monogram which set the tone for this fete. 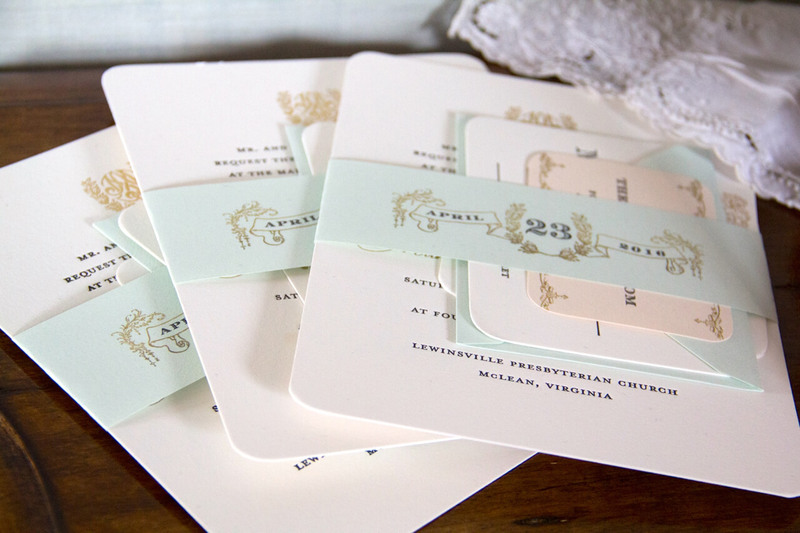 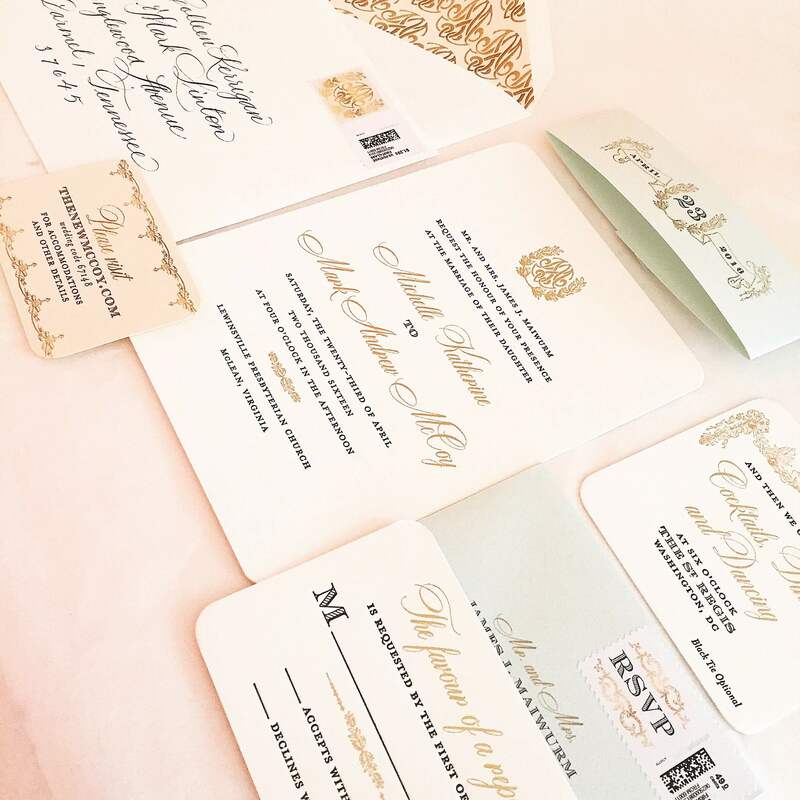 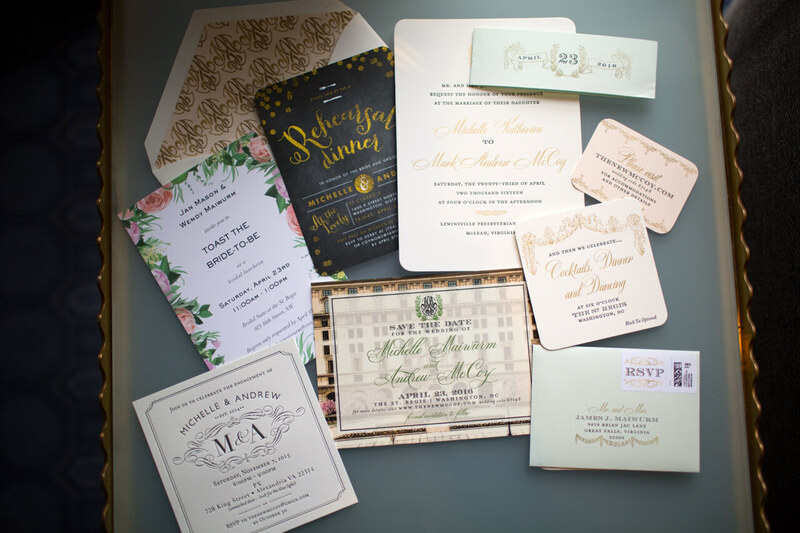 With black letterpress, gold foil, and hints of blush and mint green, these were some of our favorite wedding invitations we have ever designed! 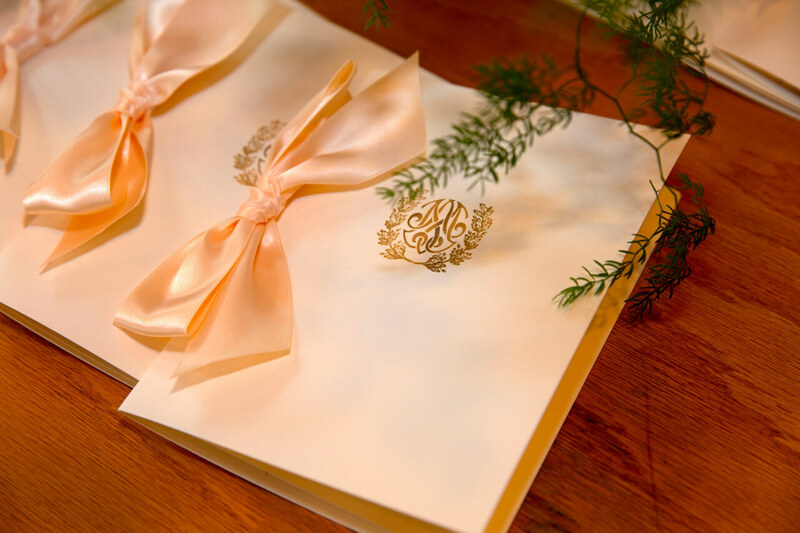 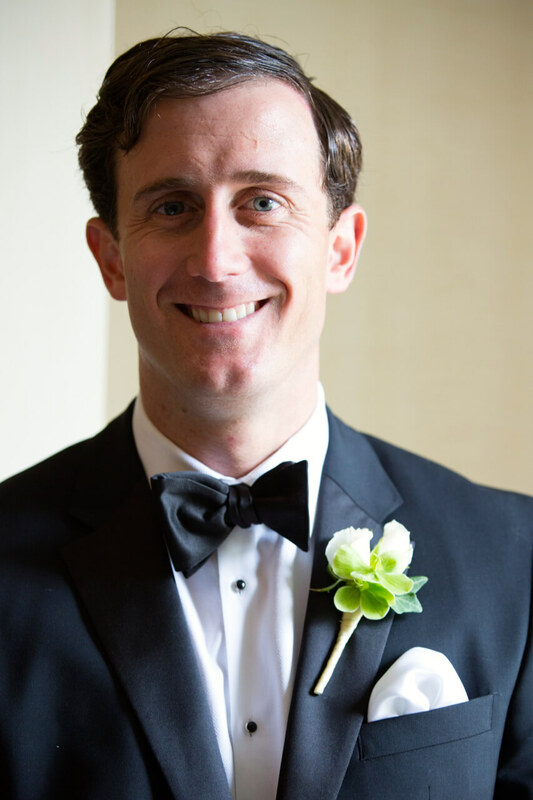 This classic monogram was used throughout the black tie wedding as well as on the welcome itineraries that we designed in a smaller format for people to carry with them. 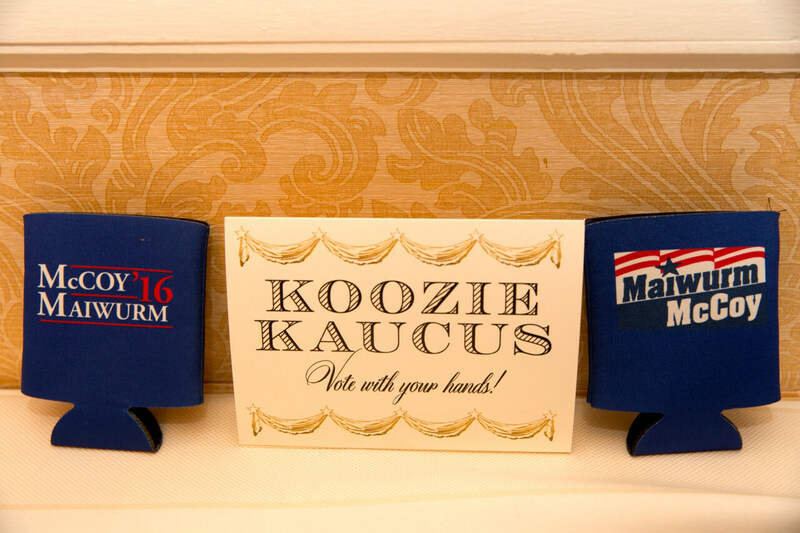 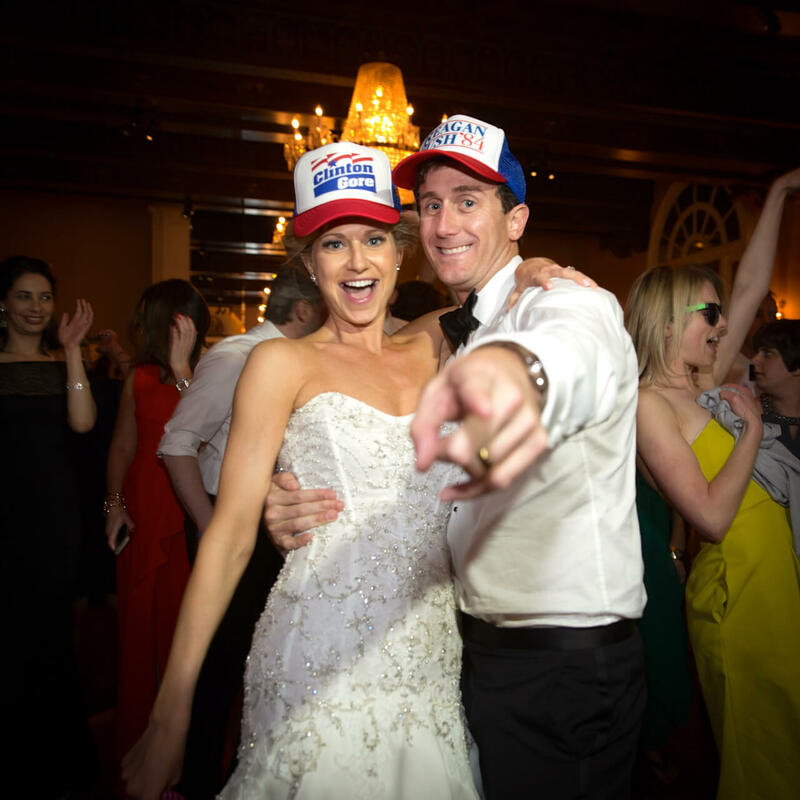 Michelle and Andrew had a bit of fun with political themed koozies and hats at the reception; after all, it is D.C!